Thought leadership: What is it, how do you do it, and who is a though leader? 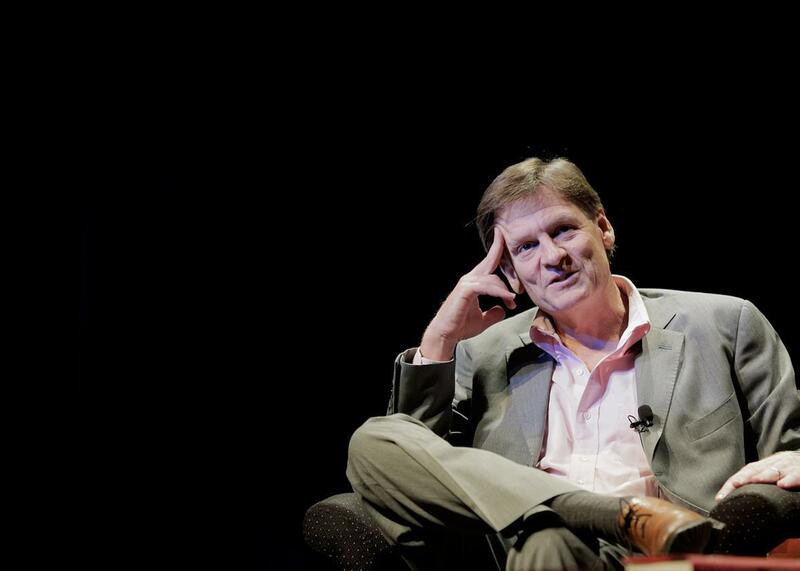 Journalist and author Michael Lewis, an “explainer” thought leader. Above, Lewis participates in a discussion on April 4, 2014, in Washington. “Thought leadership” is a used and abused term in the business and policy worlds. But at the risk of getting meta, let me lead some thinking on this sucker. Even though the term has been diluted through overuse, the idea is still important. Thought leadership is arguably more important than ever to shape public debates and maintain brand leadership. So how can we define the concept of thought leadership in a way that is actionable rather than just mumbo-jumbo? First, thought leadership has to build on real intrinsic value. You have to actually have something to say before people will want to listen to you, and even then, what you say needs to be interesting. Second, thought leadership takes time to establish and must be sustained. One piece of public commentary will soon be forgotten. Building reputations and relationships is not complicated, but they take time. Discipline is needed to sustain these efforts over the long haul, and it helps to have a variety of efforts, not just episodic “big bang” events. Let’s take each of these pieces in turn. The Issue expert: These are the expert’s experts. They have done original research on a subject, they read everything written on the issue, and they know where all the bodies are buried from old legislative fights. In short, they are a walking encyclopedia on a given topic. A good example of issue experts in the economic crisis would have been economists Carmen Reinhart and Ken Rogoff, authors of the book This Time Is Different: Eight Centuries of Financial Folly. In case the title didn’t give it away, they researched 800 years (!) of financial crises to shed light on the crisis of 2008. The bar for expert is high. The decision-maker: Eventually all this thinking turns into action or inaction, and that is where decision-makers come in. They actually vote on the law, open the factory, or otherwise sign on the dotted line. There are plenty of examples of people who make decisions on policies in Washington or the economy more broadly. They tend to have their names on bills (think Dodd and Frank) or sign off on a corporate deal or acquisition (think Jamie Dimon). Decision-makers are both thought leaders and the target of thought leaders. All four of these categories imply something different about how you add value to a public debate and what kind of bar you have to clear on any one of these dimensions. As you develop thought leadership, it helps to focus efforts by targeting the type of thought leadership where your organization has strength. After figuring out what kind of value you deliver to a public discussion, the next question is how to deliver it and keep it up. There is a temptation to engage in a public debate through a single event or an opinion piece. While both tactics are perfectly good, they require significant effort and do not always leave a lasting impression. A more helpful way to think about thought leadership activities is to outline them as a portfolio of efforts that touch both individuals and groups in ways both big and small. This approach allows a thought leader to reach his or her audience through multiple touch points over time, without either party getting worn out by the engagement. Laying the groundwork of thought leadership is important. If you haven’t built a reputation on an issue or topic before you need it, you’re probably too late. Above all, thought leadership is not a switch that can be turned on: It is a process. It takes work to define your issue set, think through your target audiences, and figure out how to engage them. The White House: What does it feel like to work directly for the President of the United States? Thought leadership: How can I become influential?